What is better than living in Melbourne at the moment? Nothing! 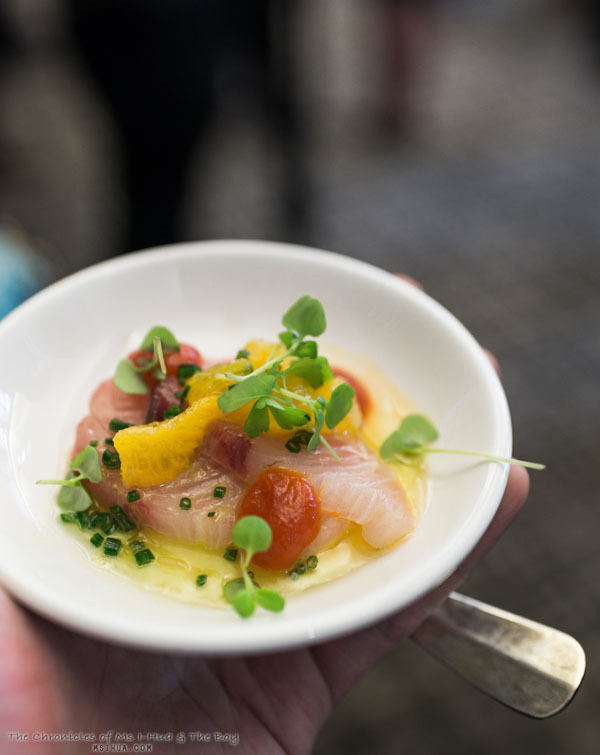 With the Australian Open starting today, the world has its eyes set on this city right now. This year, I’m going to be lucky enough to be attending three tennis matches and will be watching the women’s semi finals match on my birthday! WuhOoo! 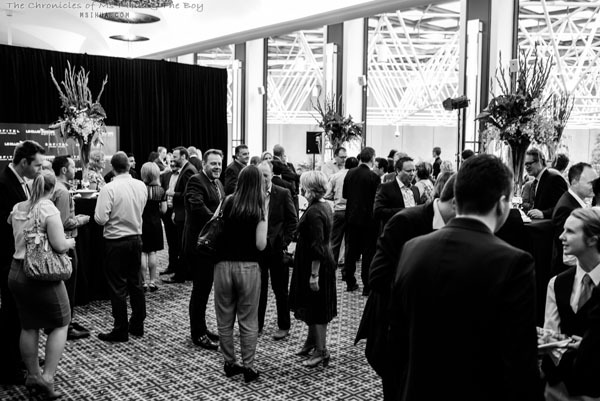 To celebrate this year’s Australian Open, Accor Hotels threw an exclusive VIP Cocktail Evening with the World’s Number 1 women’s tennis player, Serena Williams at the Sofitel Melbourne on Collins. Being big tennis fans, The Boy and I were truly excited to have been invited for a chance to glimpse Serena away from the grinding sunlight of the court. 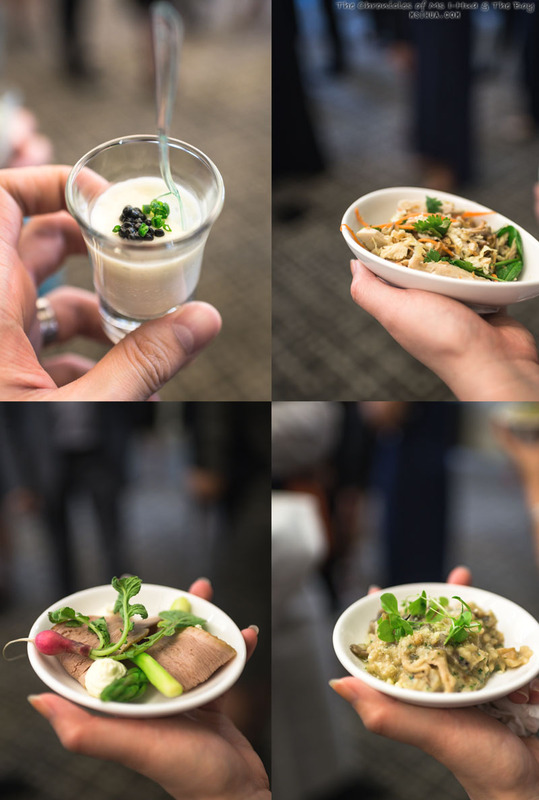 Whilst we waited for Serena to arrive, we enjoyed a couple of the delicious canapés that were brought round to the 100 odd guests in attendance. As Graham Wilson, Chief Marketing and Distribution Officer of Accor Asia Pacific took the microphone, there was a silence before the crowd erupted into applause and flashing lights! Cameras were out in their full glory as everyone took their chance in snapping a historic picture of the guests arriving on the red carpet. 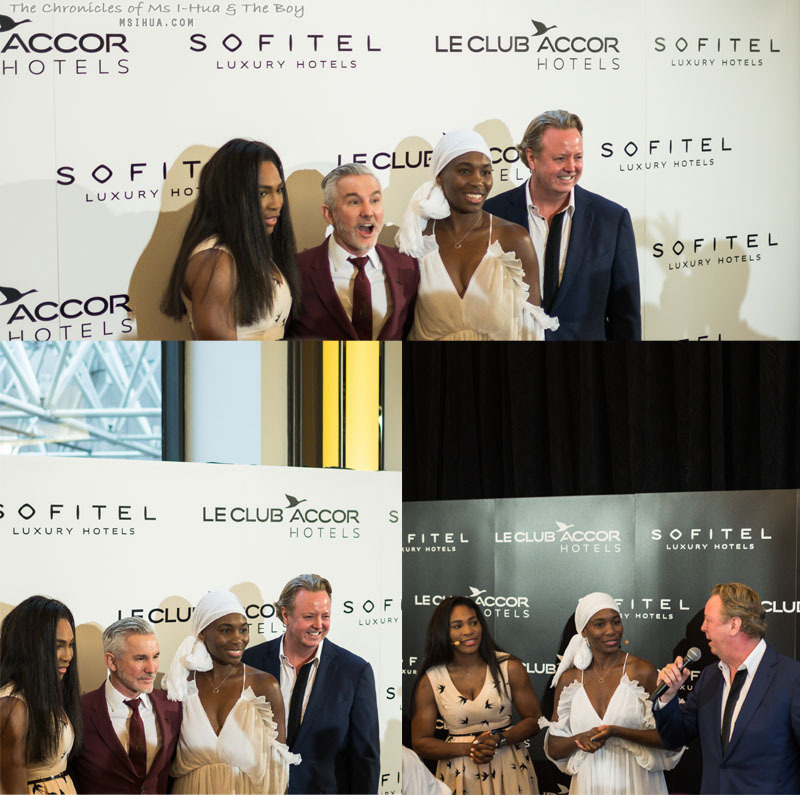 Luckily for us, Serena brought along Venus as a surprise guest, and Accor Hotels managed to get Baz Luhrmann to attend as well! Triple bonus! 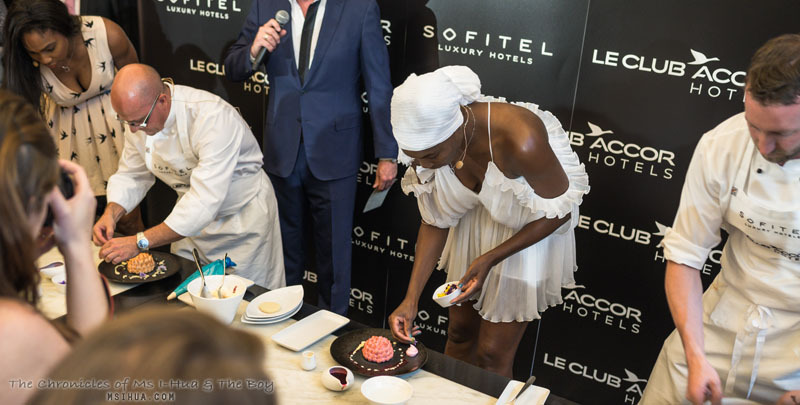 Interestingly enough, Serena is a Francophile (or so the media release will have us believe) and her partnership with Accor Hotels is not a big surprise as they share with her, the love of France and its culture. 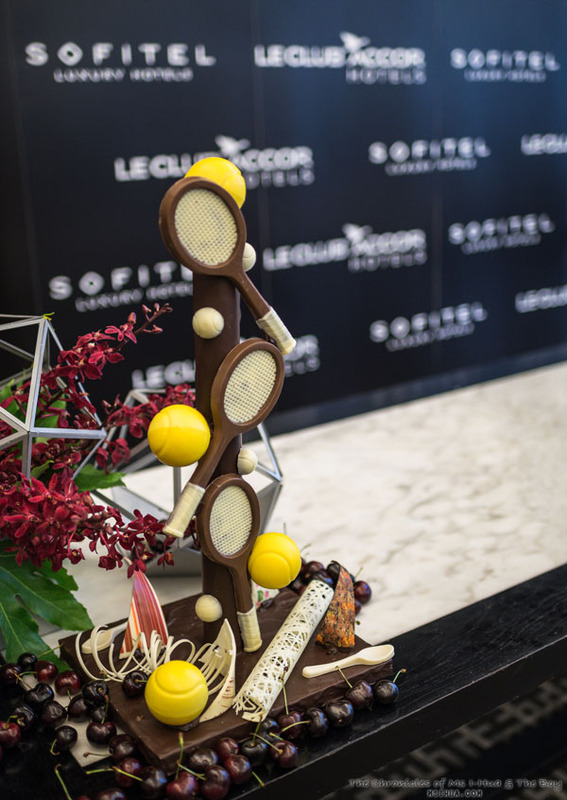 The cocktail evening allowed us a chance to also watch Serena and Venus don an apron (figuratively) and work together with Sofitel Melbourne’s Executive Chef, John Savage in creating and decorating a special Bombe Alaska dessert. Baz was in attendance to judge between the sisters dessert and also to promote and plug his new musical, Strictly Ballroom now playing at Her Majesty’s Theatre in Melbourne. 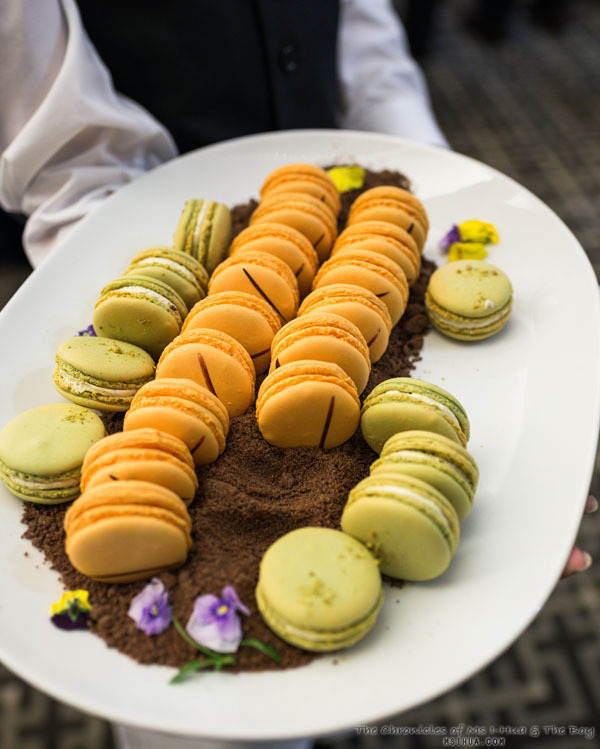 The “Serena Special” dessert will be served over the course of the Australian Open at Sofitel Melbourne’s No. 35 restaurant. So get in quick and book if you are eager to have a taste of the William’s sisters (pun fully intended :P). What a treat! 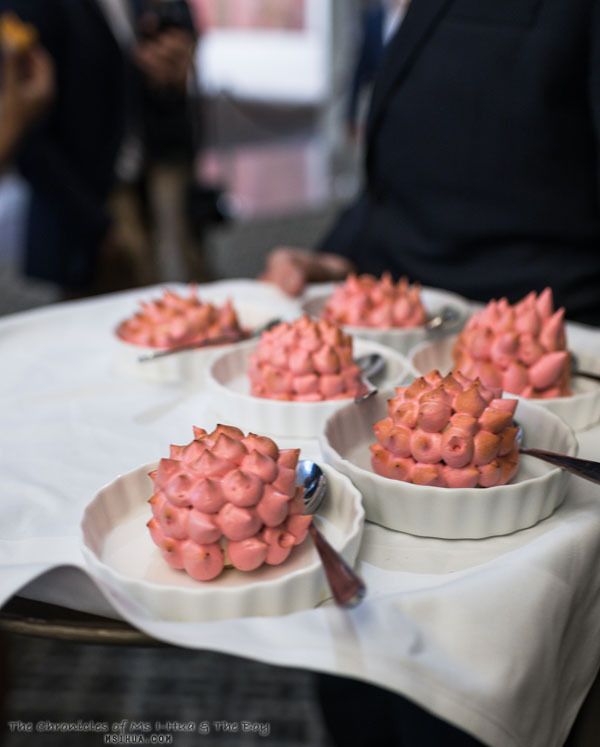 That Bombe Alaska looks delicious too. Super jealous… Looks like it was amazing. And well done to Serena on her win!